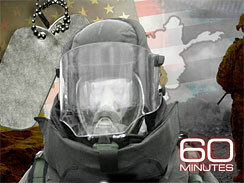 Byron Pitts and 60 Minutes cameras spend two days on the road with a bomb-hunting unit in Afghanistan as they encounter one deadly bomb after another. Tom Anderson is the Producer. Coleman Cowan is the Associate Producer. Last month was the most lethal yet for American forces in Afghanistan. And most of the Americans were killed by the deadliest weapon in the enemy’s arsenal: the roadside bomb, or I.E.D., an improvised explosive device. I.E.D.’s killed more than forty American and coalition forces in October alone, up from five two years ago. Only volunteers are allowed to serve on Paladin teams because the mission is so dangerous.